Here's the picture. Very pleased. Thank you for the speedy delivery and service. 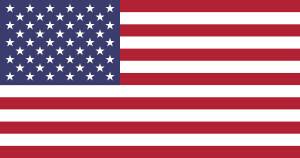 Thanks so much for recommending Lloyd, both he and his guy were extremely professional and the finish is amazing. I have uploaded a few photos. Thanks again; we are beyond delighted. I purchased Jute boucle recently.It looks great BTW. 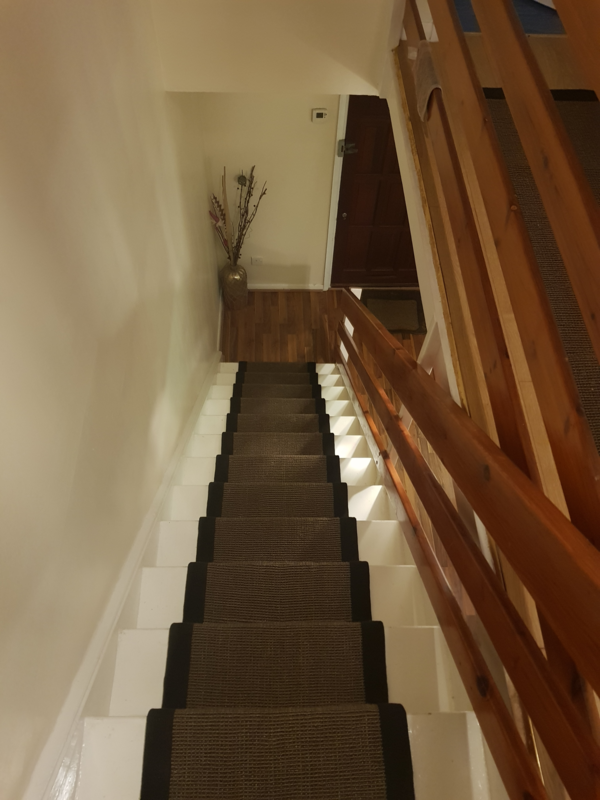 Here is a picture of one of the sets of stairs. 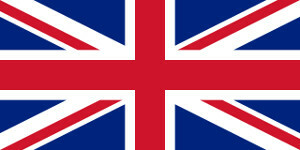 We are very happy with it. Thanks for all your help! Our dog thanks you too! She is much more confident on the stairs now! 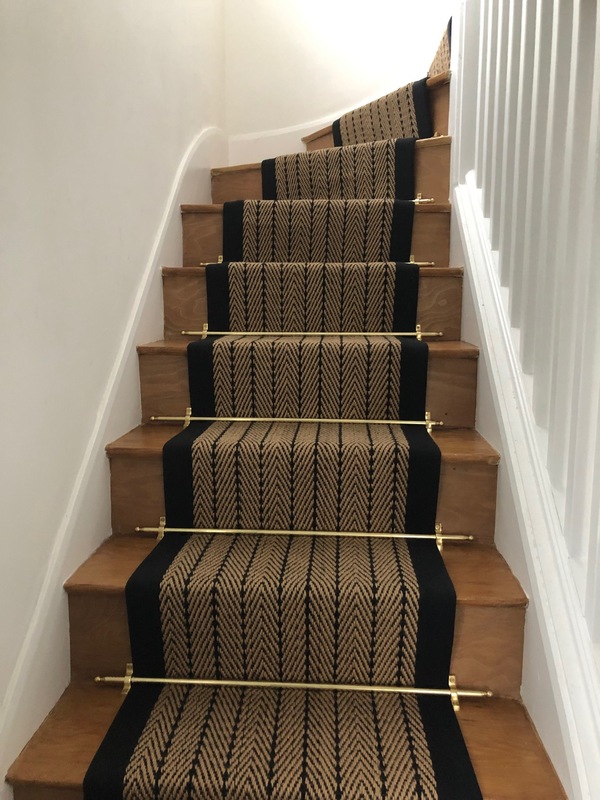 I have added some images of the runner .... My relatives were so impressed that they will also be placing an order for their stairs! 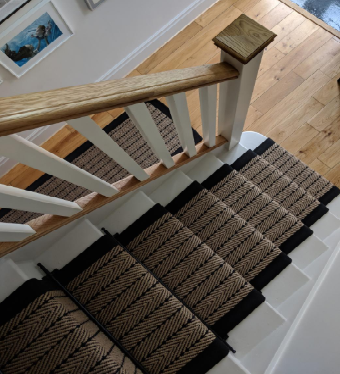 This is to confirm safe receipt of the Herringbone Twill runner and rods, and I am really pleased, it looks brilliant - it even smells nice, almost like fresh hay! Thanks so much for arranging everything! 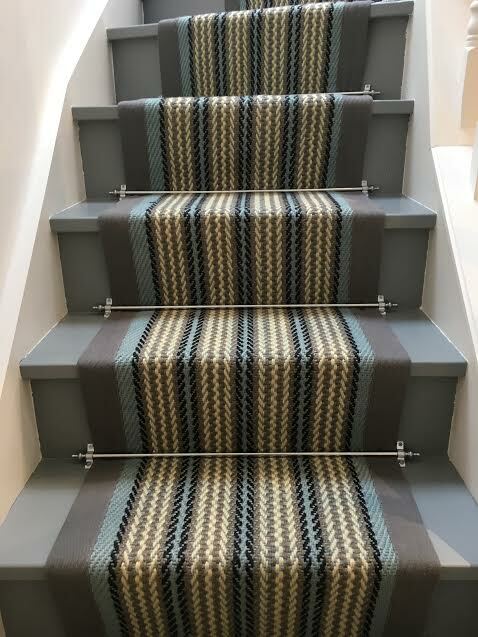 If any of my friends need stair runners I will point them your way. Ann is absolutely delighted with it - so thank you very much. 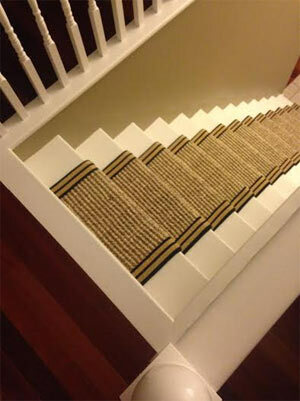 We laid our beautiful stair runner and I will send you a pic. ...As promised here are some pictures. Thanks so much! Really good quality, color as expected, easy to cut to our size and a great price! Very happy! 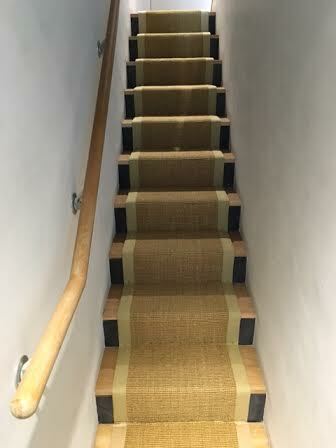 We are now ready to order the next stair runner, again in natural Jute Boucle. We were delighted with the 2 runners supplied a few months ago. My runner arrived safe and from the photos sent to me by my wife, looks exactly as I imagined......thank you. Also, Iâ€™d just like to compliment on how great Lloyd was at fitting the runners. He was so helpful and very precise. Canâ€™t recommend higher! 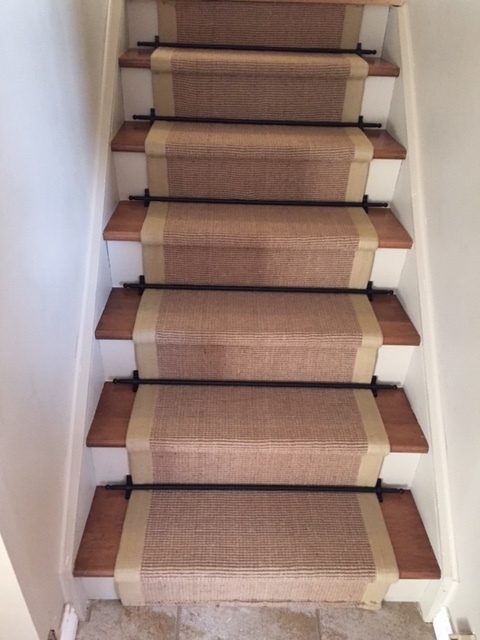 We have received the stair runner and stain protection spray. The stairs look fantastic. Just to let you know that we have received the runner safe and well. Your above and beyond level of service and the very good price both seemed too good to be true.But they were true after all! I will be sure to send you photos once it is all laid. The runner has arrived and is looking great! 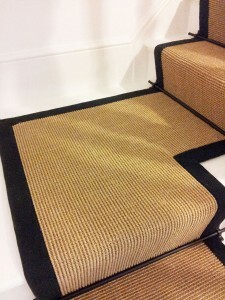 We've recently bought the jute stair runner (and underlay and rods) from you. It's lovely and we're very pleased with it. I thought you might like a picture of how the runner turned out - brilliantly and we're so pleased! Good news the carpets have arrived and they look great. I am very pleased with the carpet. I really am delighted with the runner, thanks for all your help. Carpet has arrived today and looks great. The runner is already up and it looks amazing. Just want to let you know how very pleased my daughter is with the Ocean Mist stair runner. Lloyd was excellent on the day arriving on time and clearing up so well after fitting. 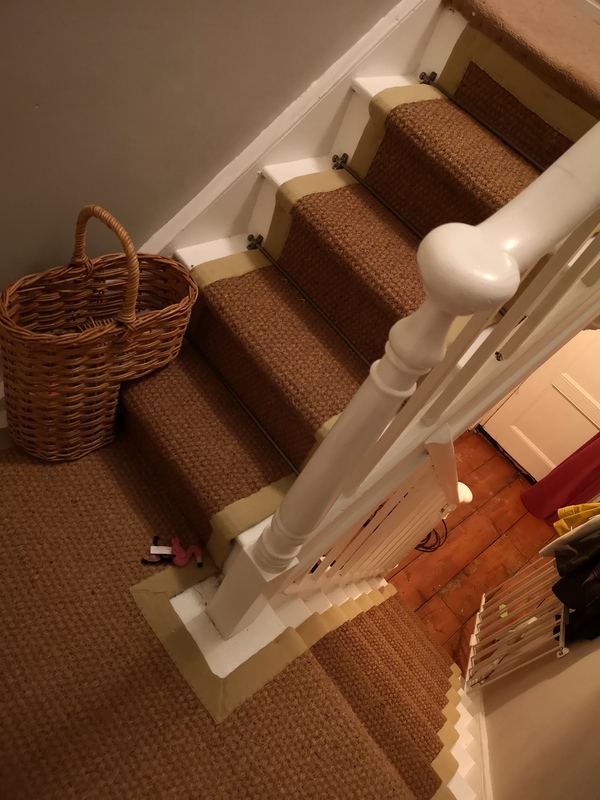 When I got home last night there was a beautiful stair carpet waiting and underlay. Thanks so much . Just a note to say thanks for the very prompt delivery, the runner arrived about 5 hours after I had placed the order!!! The wife thinks it it looks great and that's what counts!!! The runner arrived this morning and we're very happy with it. Thank you so much, the runner arrived today and I am thrilled with it! Thank you! The fitter was great. The carpets look brilliant. 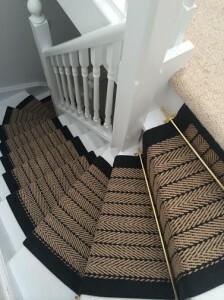 Here are a couple of photos of our stair runner. We love it. Great quality and exactly what we were looking for. Our carpet fitter said he'd never come across such a thick runner and he's been doing it for 30 years! Feel free to use the photos on your website if you like. Hi received the runner yesterday very pleased . Thanks for your email, and thank you for the runners, which look fantastic! I've already recommended you to one friend, and will be to more. Have a wonderful Christmas and successful 2013. Hi Julian - in fact the carpet was delivered this afternoon . Many thanks for your most efficient service. I'll spread the word. 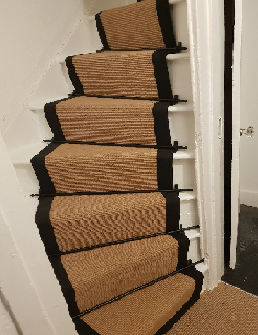 I Just wanted to say thanks for arranging the carpet runner- its fabulous. Here are some pictures if you want to use them..
Ill will reccomend you to anyone that asks! 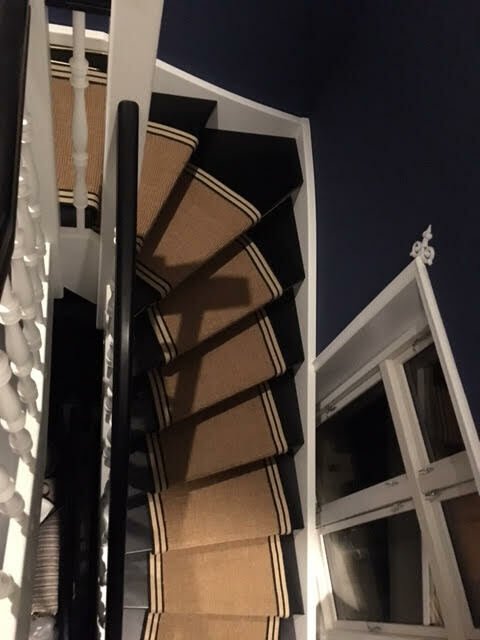 Just a quick one to let you know that we have fitted the stair runner and it looks amazing! My dad was visiting and he did it for us and didn't seem to have any problems with it. your guys came on Sunday, everything fine,they were very kind.Thanks you very much. The runner looks fantastic. we are delighted with the runner, it looks really good. i had to keep going out to the hall to have a look i was so pleased! ha-ha. I hope you had a good Sunday. Thank you so much for everything on Saturday - it truly looks amazing!